Previous World Ballet Day Fun!!! Yay for getting a job!! 🙂 Can’t wait to hear more about your ballet classes. 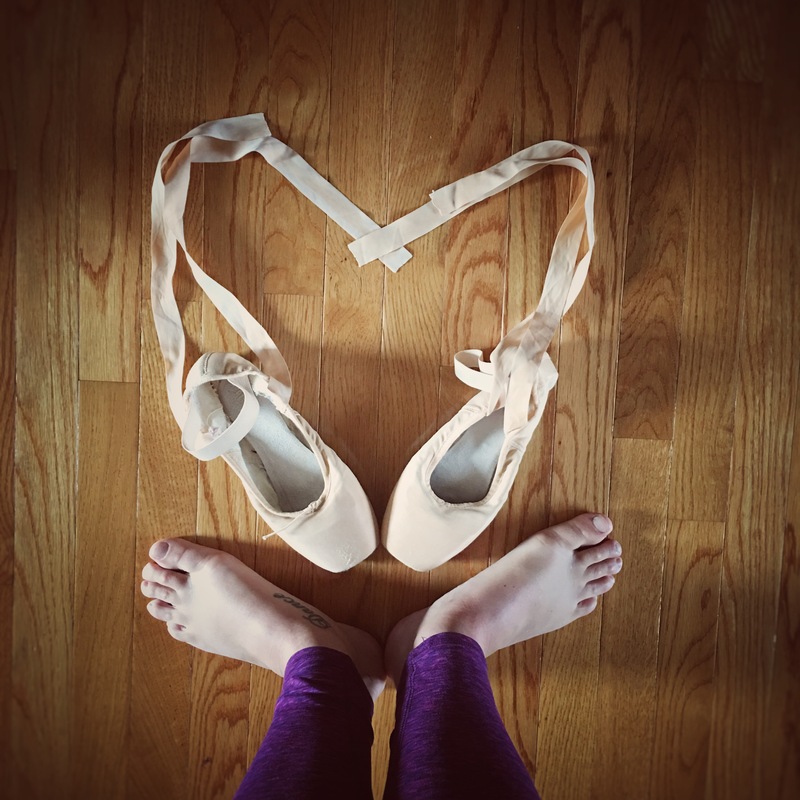 Did you pancake your pointes? What did you use, if you did? I did pancake them! I just used the lightest shade of foundation (lighter than my skin tone, because it looks much darker on the shoes than on my skin)! It was maybelline fit me matte and poreless in porcelain. I had it laying around from Halloween when I had to be pale, but when I used my current color it came out extremely dark and didn’t match my skin tone at all so I went over it with the light one and it was perfect! I’ve also used a combo of shoe whitener and calamine lotion successfully and it blends better with tights because of the pinky tone to it. I experimented on old shoes before applying it to the ones I wear thankfully! Thanks so much for the tips!! I’ll have to try it on an old pair first. My shoes are really dirty, so I think pancaking them might help. I think I’d like a more pinky version, did you just mix half/half calamine lotion and shoe whitener? No problem! I may blog about it in the future, I personally like the aesthetic of pancaked shoes better anyway 😊😊. I think I did 3 parts calamine one part whitener, and I got everything at the drugstore so it was easy. I like the aesthetic too but I think I’ve always been a little scared I’ll ruin my shoes. I’ve got to to give it a go! Oh yay!!! I’ll follow you! !